Checking Twitter just now, I noticed #mydadgetsnocallbecause is trending. Lots of hurt, bitter people griping about their fathers’ failures—so many that it’s a trending topic. On Father’s Day and everything. And in a way this is just me echoing what several people already expressed on Twitter—that this is “sad,” “terrible,” “low,” and “ignorant.” But I also want to provide a reason why this shouldn’t be trending, at least among Christians. A reason why even non-Christians, who aren’t bound by the same reasoning, would be better off dropping the bitterness, the resentment. …we are told to forgive as we’ve been forgiven, or else God will do to us as the unforgiving servant of Matthew 18. The man in the parable was forgiven an impossible debt; we likewise, who have been forgiven much, are called to forgive much in return. We’ve been forgiven everything, so we have no excuse for ungratefulness. We’ve been forgiven everything, so why not let’s forgive everyone, everywhere, everything? That last line is from a song by mewithoutYou, and they’ve written a couple songs I think are applicable. Aaron Weiss, the lead vocalist and songwriter, has described forgiveness as the center of his faith, and this defines the trajectory of their lyrics. In this interview at 3:20 he discusses forgiveness, how we forgive as we are forgiven, and how bitterness hurts only you. 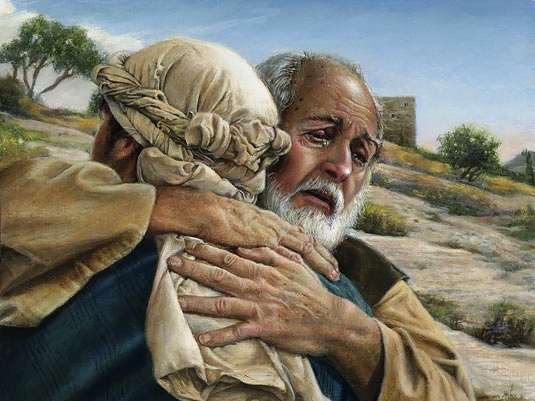 I’ll just excerpt them below in closing, and exhort sons and daughters to extend to their parents the same forgiveness they hope for and rely upon, both from God and from others, and live in the humility of realizing their own brokenness. what effect is without a cause? so what does it matter what you think you’ve done? It’s a musical expression of the explosive joy of forgiveness—the belief that in our darkness a light shines, that the darkness has not overcome it, and that the light is God. P.S. Yes, this post is reviving a so-called “dead” blog. Break out the defibrillator, huh?